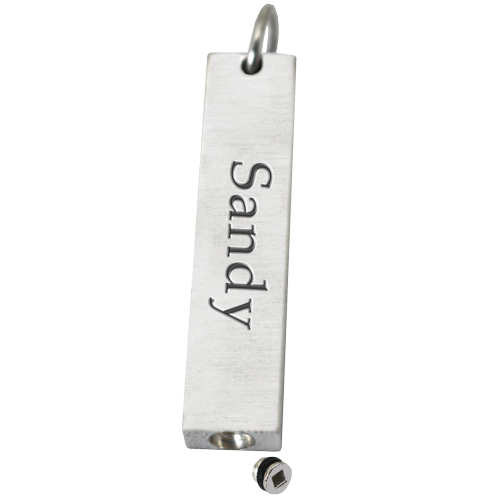 Accentuate this elegant bar pendant with letter engraving of a loved one's name. 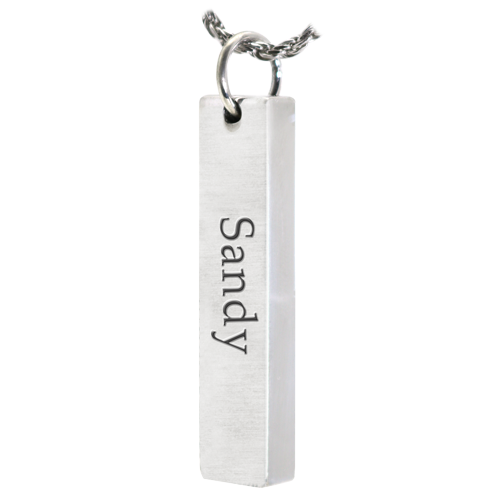 The back can also be engraved. 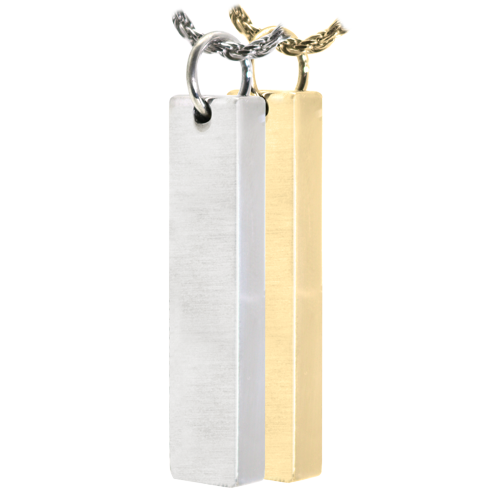 Metal Choice: 925 Sterling Silver, 14K Gold Plating, 14K Solid Yellow Gold, 14K Solid White Gold or Platinum. Back Options: You may personalize the back with text for additional cost. Silver or Gold Plating: generally ships same or next business day.